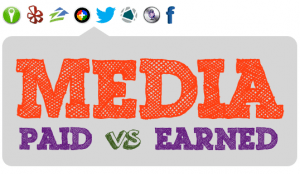 Paid vs. earned: What's the BEST media strategy for real estate? Professional marketers aim to solve this problem on a daily basis. Therefore, it’s not surprising when ordinary folks, like us, get a little confused when trying to discern it. I believe paid media is 100 percent necessary. However, each market’s competitive landscape is unique. So offering up specific strategies would not be effective for such a widespread audience. Depending on how many other real estate professionals are doing this in your area, you may be able to generate generous amounts of traffic using Adwords. You cannot be afraid to spend money, and mastering your keyword selection and niche is crucial. Lead gen opportunities are abundant as ever. Again, depending on where you live, it’s hard to predict market saturation and lead quality with any source. I recommend medium sized, sporadic spends on multiple sites. Get a feel for the frequency and quality of the leads, and then make educated decisions on where to double down. Paying for media on Facebook is useful for many reasons; mainly because you can choose your target audience. This can be strategic if you can identify a specific audience for your owned media (listings, blogs, etc). Acquiring customers turns into revenue and potentially earned media. Driving traffic, while it doesn’t always turn directly into revenue, provides exposure to your earned media. As you build your earned media, you should notice increased conversions and a lower CPA. If you are in business for the long term, earned media is the golden ticket of marketing in the digital world. It is the ultimate way to leverage your customer base to expand your relationship network, build credibility, earn a reputation, and build an online network of loyal followers. If you provide a valuable and consistent product; it’s scalable, sustainable, and always provides a return on investment. Earned media is awesome. Ninety-two percent of consumers trust recommendations from people they know. Furthermore, SELLER LEADS, the holy grail of real estate, will be most attracted to your online reputation. That said, it’s very important to implement creative and systematic ways to procure your “earned media. If you have an iPhone, ask Siri who the “best real estate agent in (your city)” is. Siri will most likely give you 15 results, and sort these results by the reviews on Yelp. Below, you can see that searching in major metropolitan areas return a higher number of reviews, but it is by no means impressive (especially if you look at the #2 reviews in a Miami). Do a search in a place like Little Rock, Ark., and you’ll only find one review under the “best agent.” If you can build your earned media in Yelp, you could become Siri’s new favorite. Google has a cool feature called Places. It’s free to sign up, and takes a few minutes to register and start managing your location. From there, you can link your Google + Business page. Then, when you somebody Googles your business, a large box will appear on the right hand side of the page; featuring a map, a photo, your companies information, and guess what, your REVIEWS on Google +. It should be much easier to get reviews on Google + because people are more likely to have a Google account than a Zillow or Trulia account.